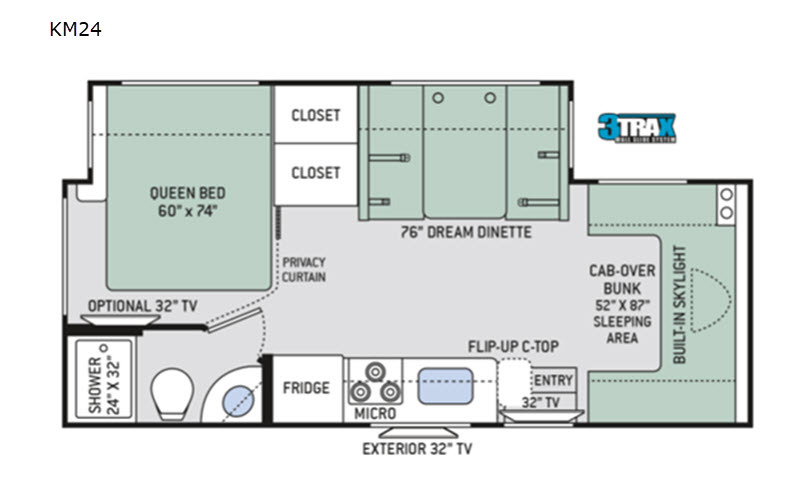 Thor Motor Coach introduces the Quantum Sprinter Class C diesel motorhome! Based on your family size and travel needs, it's easy to find a floorplan that's right for you. Both models provide a slick one-piece fiberglass front cap, a Mercedes-Benz Sprinter Diesel Chassis, and the exterior comes with a standard graphics package or choose an optional HD-MAX exterior with graphics instead. There is one model that has a full wall slide out, and it is on a 3TRAX system which is an in-wall slide-out system that provides stability for larger slide outs. 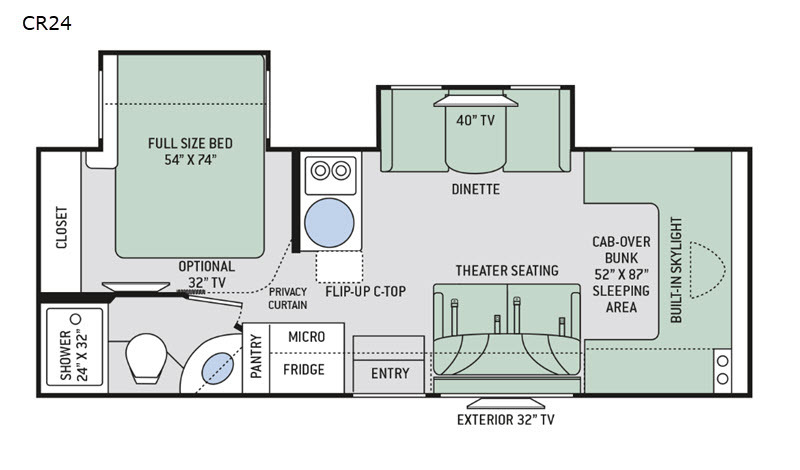 When comparing the Thor Motor Coach Quantum Sprinter to other Class C brands, it will be easy to see that nothing else quite measures up in comfort, quality and value! Choose yours today!